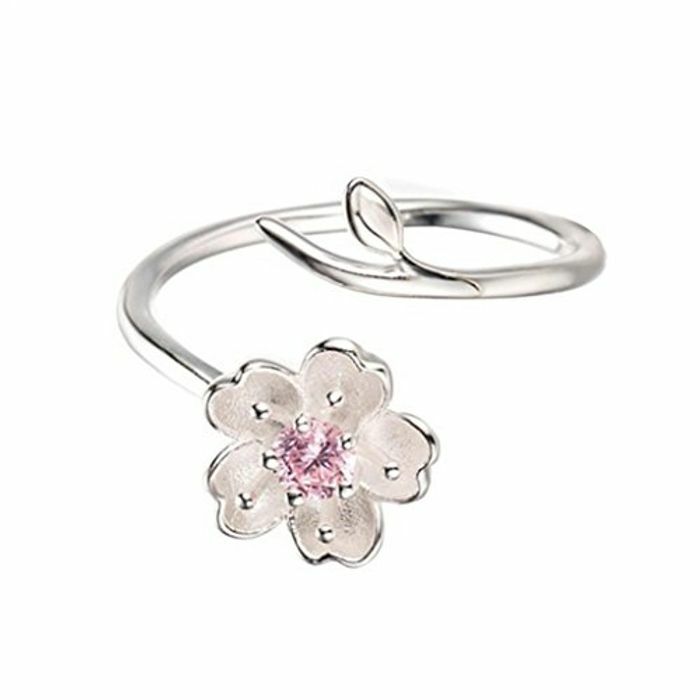 Cherry blossom design finger ring with a rhinestone center. High grade material, delicate arts and crafts. Open ended ring fits different sizes fingers. Absolutely a creative addition to your jewelry wardrobe.